The Leader of Islamic Ummah and Oppressed People Imam Sayyed Ali Khamenei paid tribute to the late founder of the Islamic Republic in Iran Wednesday morning in his tomb in south of the capital Tehran. The visit took place on the occasion of the anniversary of the return of the late Imam from exile in Paris which led to the ousting of Pahlavi dynasty in 1979. 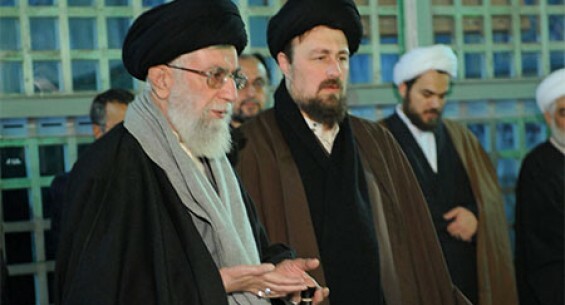 The Supreme Leader prayed for the soul of the Late Imam and other martyrs of the Islamic Revolution.